The LG Signature OLED C7 is one of the best televisions on the market today. It produces rich picture quality and has all the latest technology to be future ready. It is meant for those who don't have a budget to worry about. In the TV space, LG has always enjoyed excellent brand recall and trust. Why? Because the company makes good TVs. And leading LG’s entire range is the Signature OLED series, which have always set the benchmark for what other televisions much be like. LG’s OLED TVs easily made it to our favourites lists over the past few years, usually marked by excellent contrast ratio. The OLED C7 is part of that exquisite and high-end range, and though faces tough competition from Sony this year, this is one beautiful television. The Signature series TVs are meant to look good and the C7 doesn’t falter. 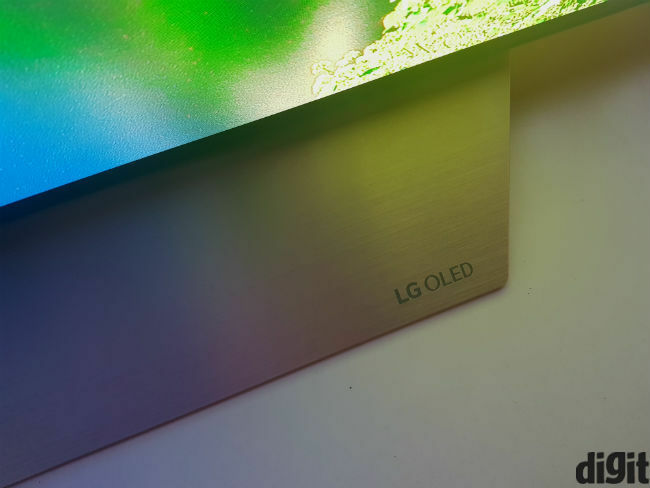 It has no logo on the front, barring the words “LG OLED” written on the stand. On first look, it’s simply all screen, with almost nothing to distract you from the picture. LG has cut the bezels and frame as much as possible, which helps make the experience all the more seamless. It’s also a paper-thin TV, at least as far as the top half is concerned. 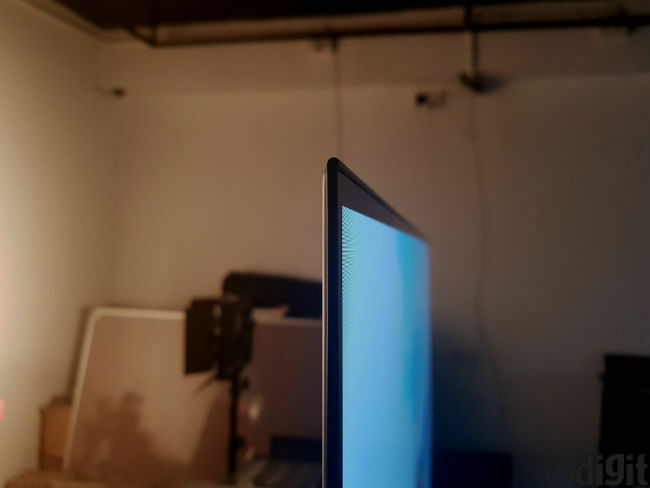 If you look at the TV from the side, you will notice the bulge on the bottom half, which houses all the ports and other mechanics of the TV. That somewhat makes the LG C7 look utilitarian, but a cleverly designed media center will hide this easily. Overall, the LG Signature OLED C7 is a television that can fit any media centre and improve its aesthetics. It’s a minimalist design, with no flashy curves, but it’s certainly a design that works. 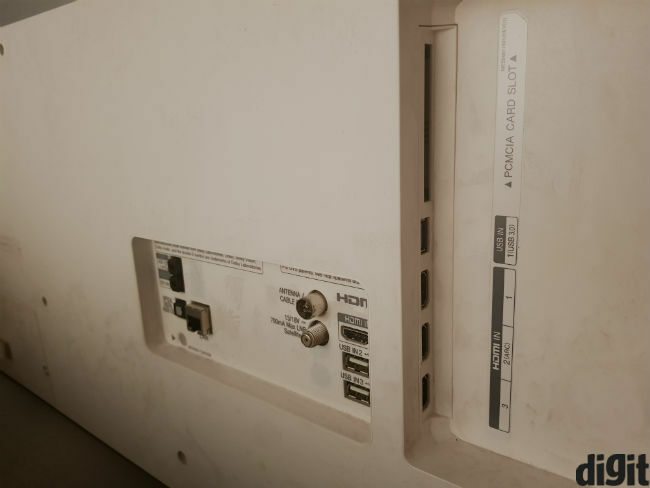 While there are quite a few ports available here, we would have preferred an additional USB port. Three USB ports may be enough for most, but you can never have enough of these. Three of the HDMI ports and two USB ports are side facing and easy to reach, although the rest are placed on the back of the TV. On the other hand, LG’s Magic Remote for WebOS is as good as ever. It works as a wand, so the user has to wave it at the television to bring the cursor where required. It takes some getting used to, but you may not want another way once you are used to it. LG’s OLED televisions were the first to set the benchmark amongst our contrast tests, and they were only beaten by the Sony Bravia A1 OLED this year. The C7 doesn’t take back the throne, but comes in a close second. While there is some difference in the contrast ratio obtained at 50% brightness, the LG C7 is no slouch in terms of contrast ratio. If you’re asking me what the difference between this and the A1 is, I can tell you that the naked eye can’t see any difference. Furthermore, image quality is absolutely gorgeous on this television. Colours are well defined and punchy and things look even better with HDR content. Incidentally, the LG C7 is one of the few televisions in India with support for both Dolby Vision and HDR10. There’s also a 4K upscaler working behind the scenes on this television. Much like its competitors, the C7 will also handle high quality content with ease. So, if you’re streaming at 1080p on Amazon Prime, the upscaling engine will make things look better. However, SD content has no space on these TVs. Lastly, the C7 is slightly brighter than earlier OLED TVs from LG. While that doesn’t make a noticeable difference in image quality, the C7 is better at handling brightly lit rooms and light reflections than its predecessors. LG has also improved audio capabilities on the LG C7. 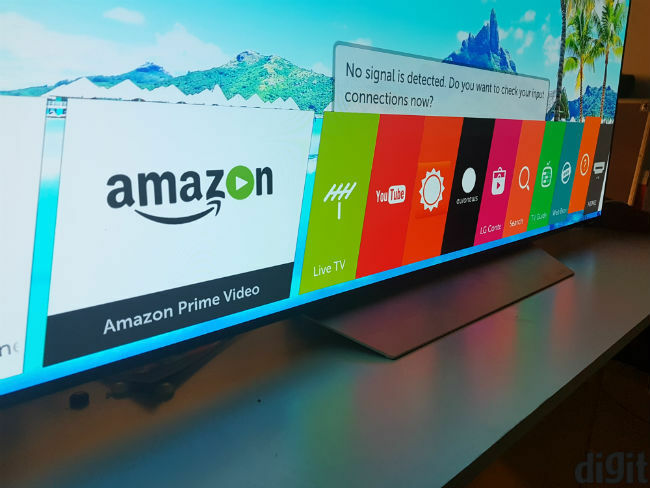 However, while the TV is noticeably louder than earlier OLED televisions from the company, it’s not the best sounding TV out there. An external soundbar or home theatre system would go well with this TV. It’s loud enough for a medium sized room, but won’t do well with music. It’s also not the best at separating dialogues from background scores at times. LG’s WebOS has remained unaltered over the past year or so. As mentioned earlier, the magic remote functions like a wand. The company has added support for most essential streaming apps, although overall app support still needs to improve. The good thing is that WebOS is reasonably fast and you don’t see the loading screen very often. The LG OLED C7 is certainly amongst the best televisions to buy today. It brings excellent picture quality and supports the newest HDR technologies. 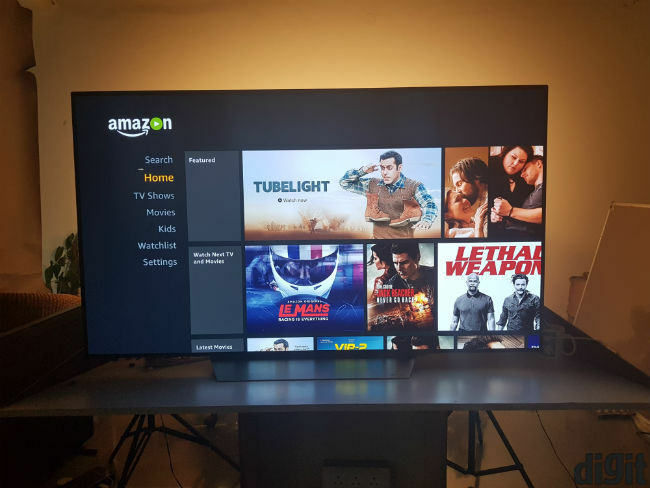 It is meant for the premium, high-end TV buyer. There aren’t many competitors in the OLED market yet, but if we had to choose, the Sony Bravia A1 would be the better choice, thanks to better audio output from that TV. The LG C7 is excellent and comes in a close second, ahead of Samsung’s QLED range.